Operating a Web presence can become very involved once a company’s hosting requirements progress beyond simply needing a dedicated server. Managed services normally provide equipment procurement, provisioning and installation, and network monitoring and management backed by Service Level Agreement. Managed services also provide end-to-end network management and maintenance support for locations around the world. Think of a managed server as a glorified dedicated server armed with extended features and support. A managed server come equipped with the features one would expect from a dedicated provider, including choice of OS, routing equipment, network connectivity and complete administrative control. However, instead of leaving most of the administrative tasks to the customer, a managed provider typically handle that as well. Many companies often assign you a dedicated service representative who cater only to you and a handful of other accounts. This support also comes in the form of proprietary control panel technology that enables the new administrator to set up and maintain sites on a server easily. It is achieved through an intuitive and user-friendly point and click method rather than by typing complex commands at a prompt line. 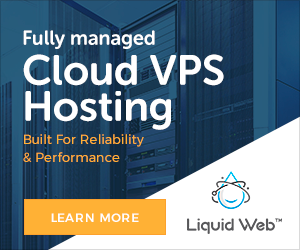 Many hosting companies offer a supplementary suite of features and services that related to managed hosting, including application and database management, high-availability services and load balancing. Most reputable Web hosting firms offer managed Web hosting services, and will back up their services with performance guarantees and Service Level Agreements. If you are unsure about which service to choose, give serious consideration to selecting a managed server. While taking the managed route is more expensive, it is also much more reassuring for the new administrator. Managed hosting is a type of dedicated hosting, which gives you access to a dedicated server that is maintained and optimized by the web hosting provider at all times. Fully managed web hosting services are ideal in comparison to unmanaged hosting services because they eliminate the need to perform administrative duties within your web hosting control panel. The services of a managed host are advised to be taken especially when the image and prestige of the company are dependent on their web site. Taking up solid hosting plans reduces the worries of a business owner as all the management issues professionally and efficiently looked after by the managed host. Get the managed dedicated hosting services from MelonCube Hosting offers the Server Hosting infrastructure which is perfect for client.